Heather Jessup grew up in Vancouver and now lives in Halifax. 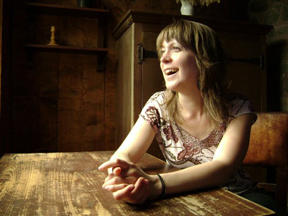 She is currently a doctoral candidate at the University of Toronto and a creative writing instructor at Dalhousie University. Her fiction, poetry and reviews have been published in literary journals across Canada and in the United States. 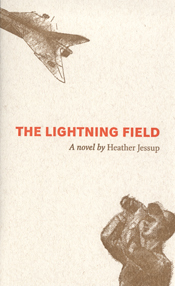 The Lightning Field is her first novel. Set against the backdrop of Cold War Toronto, The Lightning Field follows the lives of Peter and Lucy Jacobs from their post-war courtship through marriage and child-rearing in the suburbs. Though spanning four decades, the book pivots on the events of a single day: October 4, 1957. On this day, the Russians launch Sputnik into orbit, the Avro Arrow—the most advanced jet plane of its time, whose wings Peter Jacobs has engineered—rolls out onto the tarmac to great ceremony, and, in a nearby field, Lucy Jacobs is struck by lightning on her way to the event. In the aftermath of that day, Peter struggles with his wife’s hospitalization and recovery, the care of their children, and, eventually, the loss of his job when the Arrow project is suddenly terminated. Their children—Kier, Andy and Rose—grow up in the sheltered cul-de-sacs of their Toronto suburb, troubled by the disappointments of their parents’ world, yet drawn to the infinite possibilities inspired by Laika the space dog and the mysteries of the Hardy Boys and Nancy Drew. If so much of what their parents hoped for in life seemed ultimately out of reach, how will this next generation of dreamers find their way? The Lightning Field is about loss and unexpected offerings, personal dismantling and reassembly.